Want to Listen Instead? Click Play! I know. Normally I’m talking to you about how to grow your business. And I talk about how to do it online. 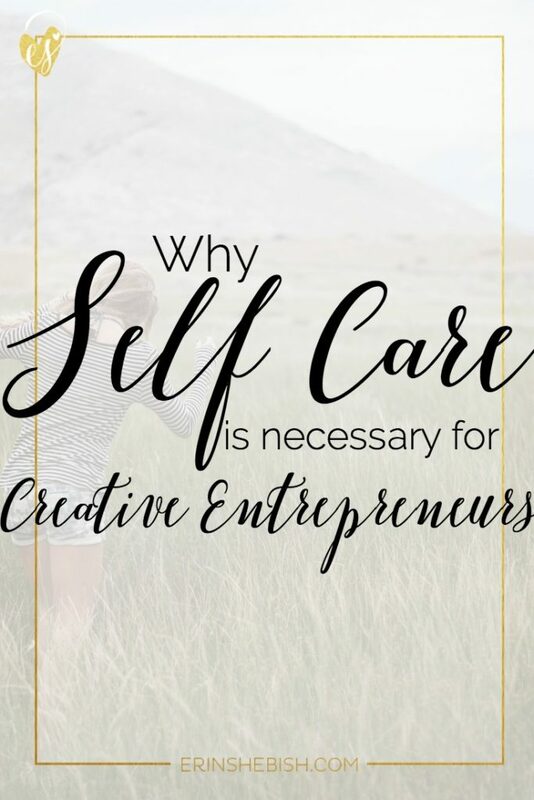 But the absolute truth is that you can’t build your business if you’re slacking on your self care. So many small businesses and blogs fail nowadays and I refuse to believe that it’s lack of ability. Or that their business is somehow lacking. Instead, I think it’s all about that hustle mindset. The problem is that many people are quite literally living the hustle. They’re working their businesses, taking care of their homes, their families and promptly crashing at the end of the day. See, there is one thing that they’ve left out of the equation here. Self care is defined as care of self. With a definition that simple you’d think it would be easier for people to do. But alas… somewhere along the way people started to feel guilty for taking time for themselves! And friend, that’s a very flawed way thinking. Self care isn’t an indulgence. It’s one hundred percent vital to your personal well-being; making it vital to your business as well. Now I’m sure that you don’t need me to tell you this but not partaking in self care can lead to serious physical and mental stress. Chronic stress even! I don’t even need to tell you how bad that is for you but I’m going to anyway. People that suffer from chronic stress often battle with things like frequent headaches, tight and sore muscles, irritability and even depression. So yeah. We want to avoid that. And we do that by practicing good self-care. Really, self-care is going to look different for everyone. It’s going to be anything that really recharges and refreshes you. If you know your personality type, this is an easy way to start figuring out what you can do to recharge. Introverts will recharge by having time alone. So maybe reading a book or taking a bubble bath. Extroverts find themselves feeling refreshed by being around others. Which means girls night is the perfect way to have some self-care time. 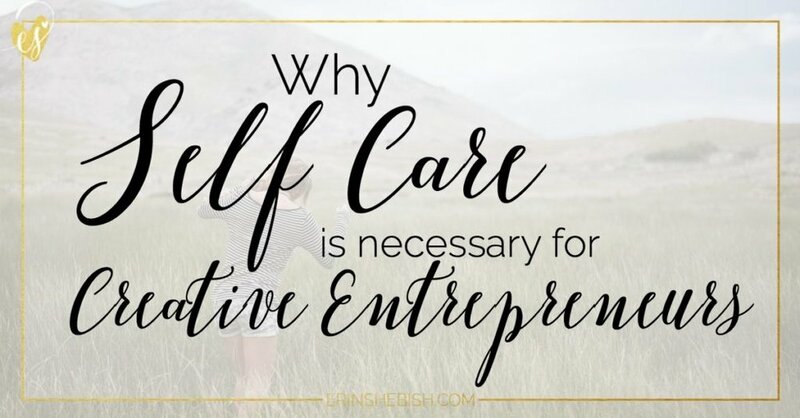 But in order to get the full benefit of self-care, you have to overcome two major mindset challenges. Self care is not an indulgence. I hear it a lot. “I’m indulging in some me time.” This makes it sound as though you’re doing something frivolous. And we’ve already determined that self-care is necessary for your health. Both physical and mental. So remove that line of thinking if you can. Instead of seeing it as an indulgence, think of it as maintenance. Like taking a shower or seeing the doctor. Self care, while necessary, isn’t a chore. If you start looking at it as one more thing to do, you’re missing the point. This is to be something that allows you to disconnect from the daily grind. Something that really helps you realign yourself and find some peace within the chaos. I’m choosing the word chaos because let’s be real… if you’re in the online entrepreneur journey and you’re a parent.... It’s chaos. All right. Now that we have that out of the way, it’s time to implement self-care into your daily routine. As a reminder, this doesn’t have to be anything extravagant or crazy. It’s simply things that will recharge and refresh you. Whether you want to read a book quietly or go for a walk with your friends, it’s self-care. Anything goes. When you start working self-care into your routine, it can be easy to keep pushing it off. Because it’s not part of the normal routine, it may even feel awkward. But you absolutely need to create this habit so schedule it out! If you have a calendar that you use to schedule things out, mark of a block time for self-care. For the shared calendar, you can just block it off with something discreet, like “appointment.” It’s an appointment to care for yourself! Let people know what you’re doing! Keeping others in the loop about your new dedication to your health is a great way to stay accountable. Aaaaand it limits distractions. If you’re a married mama, let your husband and kiddos know that you’re taking some time to devote to rebalancing. Make sure it isn’t a chore. If you’re not totally in love with what you're doing during your self-care time, do something else. The last thing you want to do is add something to your schedule that you are going to dread. Like I said, self care is whatever you want it to be and you have the power to change things up. You need to take time each day for yourself. It doesn’t have to be hours upon hours each day but some time. I like end my day with a 30 minute bubble bath and book. I do this after my husband and kiddos go to bed so I’m able to enjoy it without having to worry about others needing me. I also like to take a larger chunk of time once a week to do something else, whether it’s going out with a friend or grabbing a coffee. This helps me stay feeling energized and happy. So tell me, are you practicing self-care? What are some ways you do so?